Stir with ice. Strain into coupe coated with peaty Scotch. Canadian whisky for Hannay in London, thus the addition of gin. 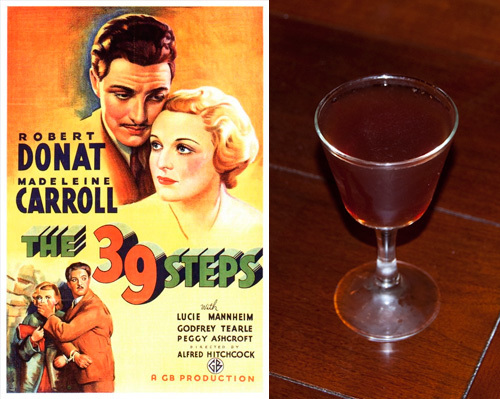 The Professor and his nefarious alter ego lends the German liqueur. And of course the Scotch for the setting, which is also interesting since the nose doesn’t really match the taste and so I think lends itself to the deception explored in the movie. And of course in the play, which prompted this entire series of Hitchcocktails.